This Instagram Bride Just Gave Us An All Purple Look And OMG, It's Gorgeous! When was the last time you spotted a bride in purple? Not recently, right? In fact, the only purple lehenga I remember falling in love with was that of Dia Mirza in a stunning Ritu Kumar creation at her mehendi ceremony. And now that I'm getting married, scrolling through my Instagram feed for wedding inspiration has become a habit. That's when I came across the gorgeous Ravneet who chose to go all purple and oh my God, she looked ethereal! 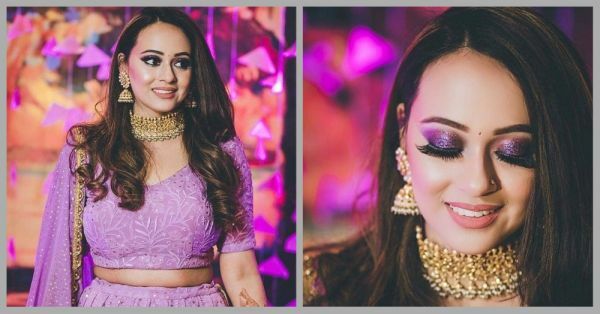 From her bridal lehenga to her floral jewellery to her eye makeup, it's ALL purple. Check out her absolute drool-worthy looks captured beautifully by Design Aqua Studio! While pastels are huge this season, brides mostly opt for pastel pinks and greens. Ravneet instead decided to go with pastel purple and the result, as you can see, is stunning! With intricate mirror and thread work, the outfit was designed by Vintage Paradise. 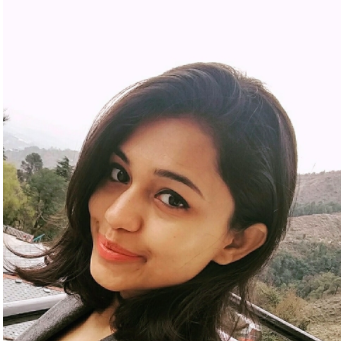 Let's now take a look at her eye makeup done by makeup artist Aarushi Oswal. If you thought matchy-matchy does not look good, well, this bride is going to change your mind. She couldn't have matched her eye makeup with her lehenga better! To balance the shimmer smokey eyes, the rest of her makeup was kept minimal. Bride Ravneet completed her purple parade by teaming up her lehenga with floral haathphools. Even though I'm not a fan of floral jewellery, this time I actually loved it! And I like the fact that she chose to not go overboard with floral pieces! Also, the haathphools are by our fave, Prune India! So ladies, if you have a fave colour too and wish to go monotone from head to toe, you know it's not a bad idea! Inspired enough?